Water based systems offer flexible configurations, adaptable for heating different sized areas, from individual rooms up to the entire house. The Climateck ACU-Floor OS integrate the air conditioning system with a heating system in a single terminal. 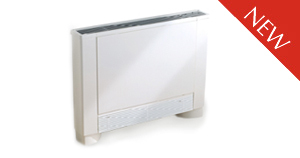 In winter it is silent as a radiator, but offers much higher performance. 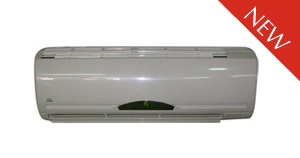 In the summer it is an exceptional air conditioner, that cools and dehumidifies.